Service dogs, emotional support animals, and therapy animals. They all have important jobs to do but their jobs are all very different! There is a lot of misinformation online about them, so we're here to help set the record straight! To start off, here's a good chart to visualize the main differences between the three! 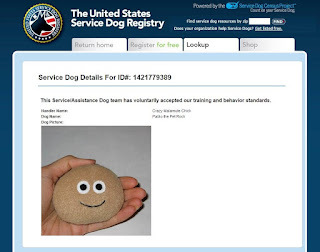 There are a lot of websites out there that say you can register your "service animal" or "emotional support animal", but unfortunately these are all scams that are just looking for people's money. 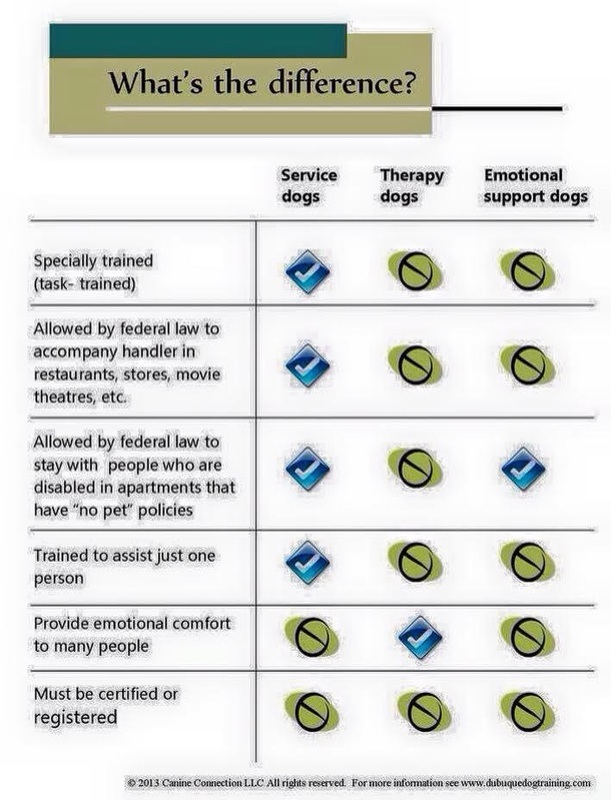 There is no actual certification process for either service dogs or ESAs. Here you can see people have "registered" their pet rocks and raptors from Jurassic Park just to show how much of a scam it really is! Service dogs: A service dog is defined as a dog that is individually task trained to help an individual with a disability. The tasks that the dog is trained to do have to directly relate to that person's disability; for example, a dog who is trained to pick things up off the floor for someone who is wheelchair bound and cannot easily pick them up themselves. Only dogs, and in some states miniature horses, are allowed to be service animals according to federal law. 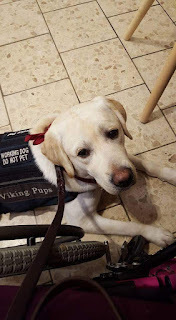 There is NO certification for service dogs, however, they have to be trained for an individual with a disability and are allowed to accompany them into any public venue because they are considered a piece of medical equipment that helps mitigate their disability. Here is a link to frequently asked questions about service dogs! Emotional Support Animals (ESA's): ESAs are any animal that helps assist an individual with a disability or symptoms of a disability solely in the home. They don't need any training but have rights under the Fair Housing Act (so you cannot be discriminated against in housing) and the Air Carrier Access Act (so you are able to fly with your ESA). In order to have an ESA you need a letter from your doctor (physician, psychologist, etc.) stating that it is recommended or that you would benefit from having an ESA to help alleviate the symptoms of that disability. 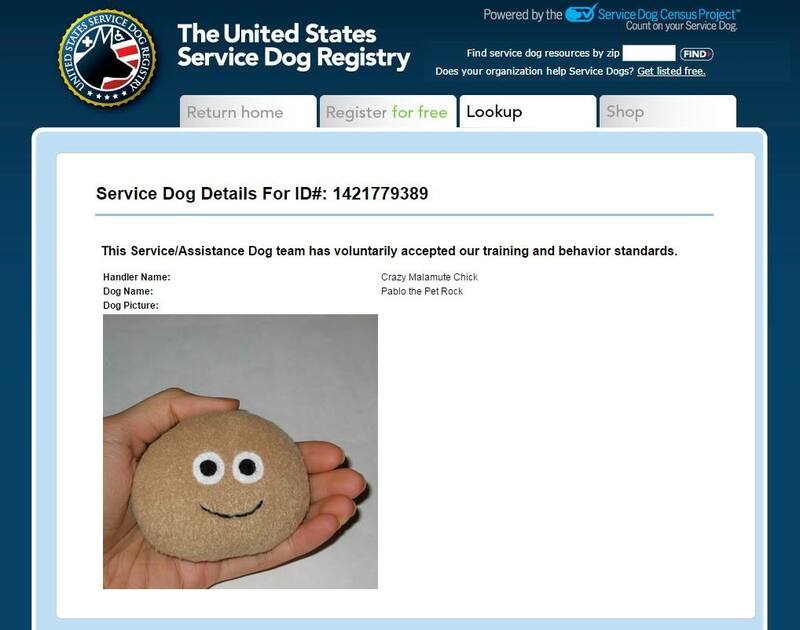 They do not require any certification and are not legally allowed to go into public places. Here is a link for more information about ESAs! Therapy animals: Therapy dogs are the one animal that usually requires certification. These are the animals that are taken into places like hospitals, schools, and nursing homes to provide comfort to many people. Therapy animals are just pets, and do not have any rights in public, housing, or on airplanes. If you think your pet would make a good therapy animal here's a link with more information on how to get started! To finish up, we’d like to leave you with some common service dog courtesy tips. If you see a service dog out in public working with its person, no matter how cute and sweet the pup may look, it’s important to remember that this dog is currently working and doing an important job - like looking for seizure cues, sniffing for low blood sugar, or helping grab things from shelves, for example, and they should not be distracted by petting or cooing (even though we know it’s hard!). 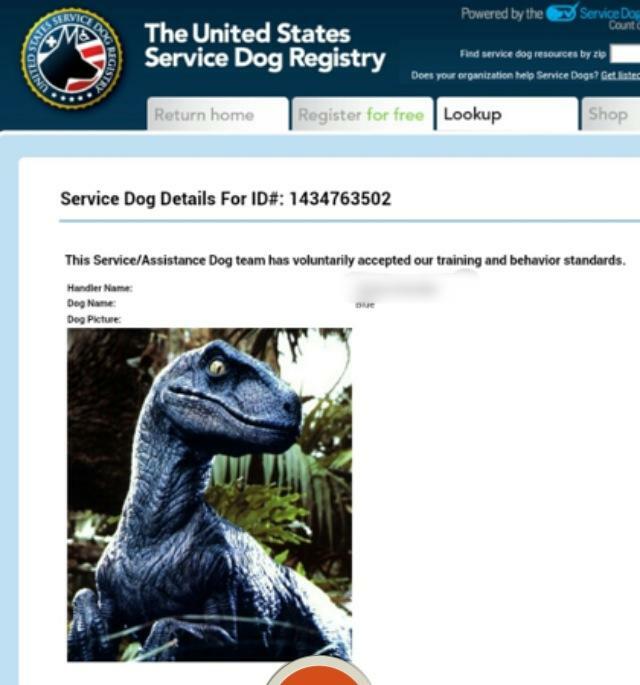 Also, it’s very important to remember that a service dog team should never be impersonated. We know it can seem innocent and easy enough to order a vest online so you can bring your furry friend with you for quick trips into the store, however, this can cause a great deal of harm to real, legitimate service dog teams. If an accident or event happens while you are in the store with your pet, this may make it harder down the road for real service dogs and their owners to be accepted into public areas. We've seen a lot in the news recently about the potential dangers of essential oil diffusers to our pets. Our question is, are they really dangerous to pets, or is this just a bunch of media hype? Unfortunately the answer is vaguely both, but the truth is we don't know much. If you are going to use an essential oil diffuser make sure that the pet isn't locked in that room. Either don't give them access to the room or make sure they are able to go to and from that room willingly. Make sure that your pet does not get into the concentrated oil before it is diffused. This can cause serious problems for pets. If this does happen it is best to contact your veterinarian. Cats and dogs both have stronger sense of smell than we do so even if it isn't necessarily harmful to your pet, higher concentrations of essential oils can be irritating to them. Also be aware that cats are more sensitive to essential oils than dogs are. There are essential oils that can cause problems for different animals, however diffused essential oils are not a problem as a whole. Your best bet is to know what you're using and ask your veterinarian if it is safe to use. If they don't know the answer they should be able to consult a specialist and find out the answer for you! To make a long story short, there is not a lot of regulation on the essential oil market, so make sure you do your research, know what you're getting, and check with your vet if you're concerned that it might be harmful to your pet! Thinking about getting a new puppy, or just adopted a furry little friend? According to veterinary behaviorists, puppy socialization classes are one of the most important classes you can take your pup to in order to start off on the right paw! 😉 Click here to see the official statement from the American Veterinary Society of Animal Behavior regarding puppy socialization! 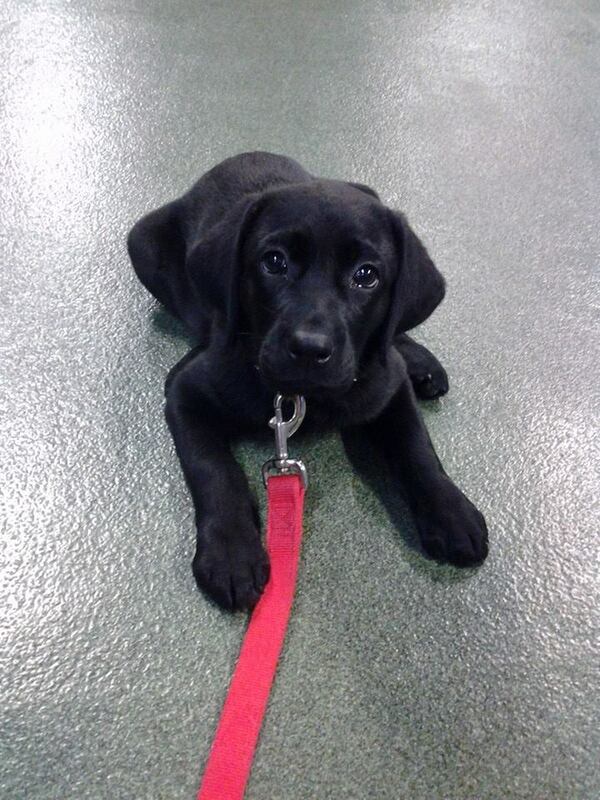 Scroll down to learn more about what a puppy socialization class is and why they're important! Ariel says lets learn more about classes! Who? : Puppies between 7-14 weeks old. 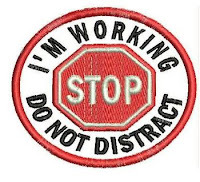 This is ideally when you want them to start class according to behaviorists! But the younger the better! What? : Puppy socialization classes are the first step in training. During these classes you will learn about positive reinforcement and the best ways to introduce your puppy to new things to ensure they have a positive experience! You'll also learn important things such as crate training, how to deter biting, and lots of other good information to know for young puppies! When? : The earlier the better! It is important for puppies to take this class when they are young, especially during the first three months of their life because that is when they are most perceptive to socialization - when sociability outweighs fear. Veterinary behaviorists do not recommend starting this class after a puppy is between 12-14 weeks old, as that critical socialization period is over. Where? : It is best to do these classes with a reputable trainer. You can search online to find a reputable trainer near you! Why? : One of the main goals of these classes is to help puppies learn to be confident in the world around them instead of fearful. The more you expose them to when they're young (without overstimulating them), the more they're likely to have a good experience to that stimuli in the future! Today we had the pleasure of meeting another wild friend from Oaken Acres Wildlife Center! But first we have an update on our eagle friend! 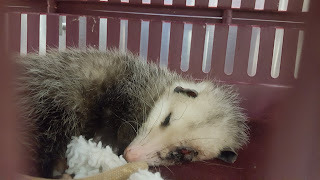 He is doing much better now and is eating on his own, he has been named Freddie! 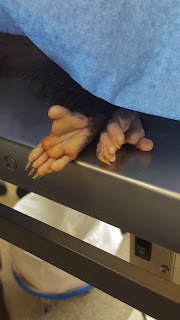 He is scheduled to have part of his wing amputated later this week! 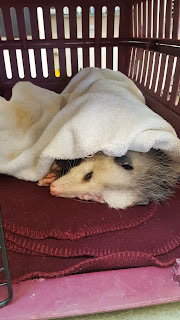 Now onto our new wild friend, an opossum! 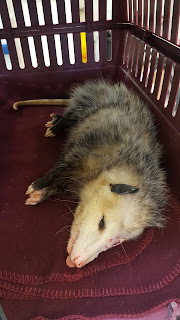 This opossum unfortunately was in to see us today to have one of it's eyes removed that had ruptured. Dr.Diemer was able to remove the eye without complication and we hope this helps her live a more comfortable life! Here's some pictures from today! Follow Oaken Acres on Facebook for more updates on our wild friends! Look at those feet! Aren't they neat?? Wow has it been a while since we've last written! But we're back up and running on the blog and are excited to share with you in our veterinary adventures! 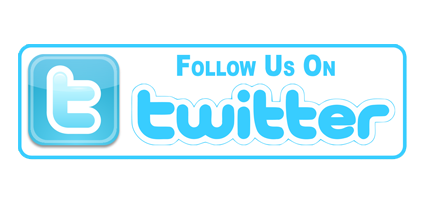 We hope to post some exciting happenings here at Prairie View and some educational information for your beloved pets! But first and foremost here's some fun photos from recently to get back into the swing of things! 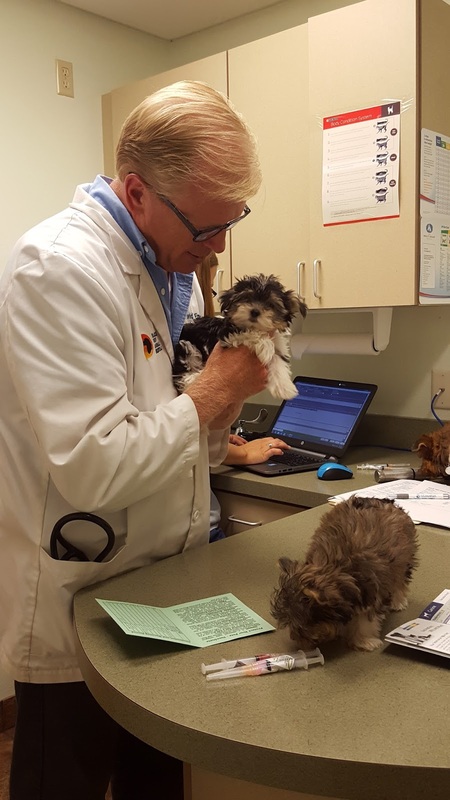 Dr. Emmert performing some puppy exams! Dr. Diemer with one of his favorite patients! We also recently had the privilege of examining this majestic younger bald eagle brought to us from Oaken Acres Wildlife Center. 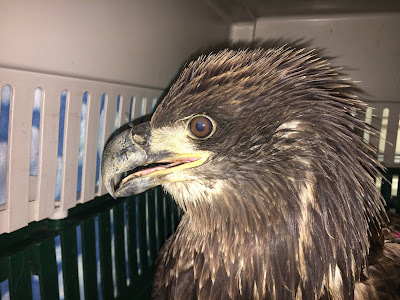 Unfortunately this guy has a severely broken wing and will most likely need amputation. Follow Oaken Acres on Facebook to follow this amazing raptor's journey! 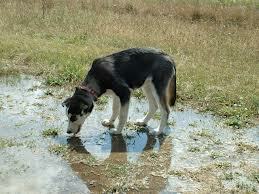 We have seen a few cases of leptospirosis (lepto) in the last few weeks. 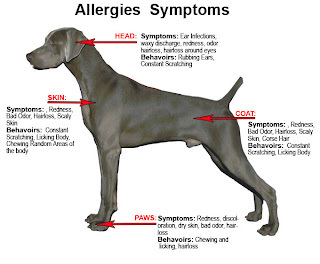 It is something we usually only recommend vaccinating for in dogs that spend a lot of time outside, hunting dogs, etc. The dogs that we recently diagnosed with it were dogs that lived in town and we considered to be more inside dogs. This has been a bit concerning for us, so we have started to talk about lepto and the vaccine more with every annual examination and new puppy visit. We also want everyone to be aware that it is out there and to protect your dog as best as possible. The CDC has a great website with information about lepto and its concerns for pets and people. We encourage you to check it out at http://www.cdc.gov/leptospirosis/pets/index.html. Our webite's "petlibrary" also has information about it. Just type leptospirosis into the web browser to get a list of articles. 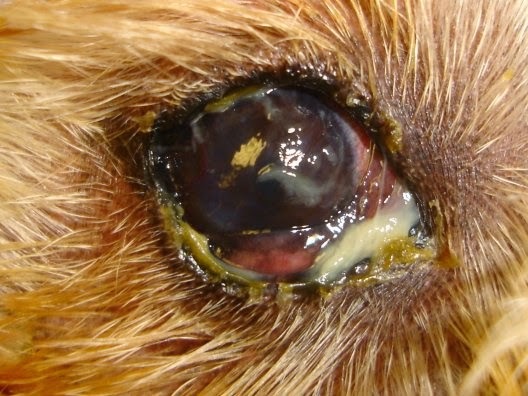 We have been seeing a few dogs with KCS (Keratoconjunctivitis Sicca) or dry eye. 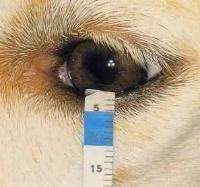 KCS is diagnosed by a test called a Schirmer Tear Test which measures the amount of tears produced in a set time frame. This condition occurs when there is a deficiency in the water portion of the tears which accounts for 95% of the tear volume. Without tears, the eyes become irritated, the conjunctival tissues become red and inflammed, and in time the cornea itself wilt turn brown and gooey with eventual blindness. Usually what you will notice first at home is green/yellow discharge that you have to clean out of the eye several times daily. Tears are essential to the comfort of your pet's eyes but they do more than just provide lubrication. Tears contain anti-bacterial proteins, salts, sugars and even oxygen to nourish the eye. The flush away irritants and infectious agents that are constantly getting into your pet's eyes. Treatment is available in the form of eye medications which your veterinarian will discuss with you. We have had a lot of people concerned about this cold weather and their four legged friends. Sometimes we forget that our pets are just as accustomed to the warm shelter of the indoors as we are. We are recommending that all outdoor animals be brought inside or given appropriate heated shelter during these extreme temperatures. Some animals can remain outside safely longer in the winter than others. In some cases, it's just common sense: long-haired breeds like Huskies will do better in cold weather than short-haired breeds like Dachshunds. Cats and small dogs that have to wade shoulder-deep in the snow will feel the cold sooner than larger animals. Your pet's health will also affect how long she can stay out. Conditions like diabetes, heart disease, kidney disease, and hormonal imbalances can compromise a pet's ability to regulate her own body heat. Animals that are not generally in good health shouldn't be exposed to winter weather for a long period of time. Very young and very old animals are vulnerable to the cold as well. Regardless of their health, though, no pets should stay outside for unlimited amounts of time in freezing cold weather. Also remember that if you park outside cats will curl up against almost anything to stay warm--including car engines. Cats caught in moving engine parts can be seriously hurt or killed. Before you turn your engine on, check beneath the car or make a lot of noise by honking the horn or rapping on the hood. We hope this information helps a little. Most of it is common sense in regards to pet care. 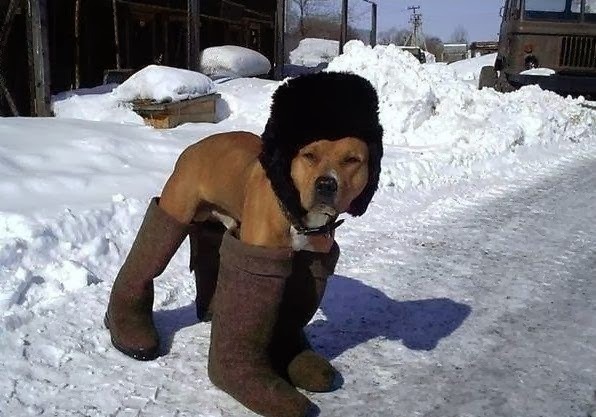 Remember that if it’s cold for you, then it’s also cold for your pets. We hope everyone stays warm & safe during this polar vortex. WHAT IS THE IMPORTANCE OF AN ANNUAL PHYSICAL EXAM? I can tell you my personal pet story to help answer this question. I have a 3 year old cat that I rescued about 2 years ago. She was examined and vaccinated when I first adopted her and found to be healthy. About 6 months later I brought her in for a dental cleaning. At that time she was found to be healthy and blood work was all normal. Six months after that it was time for her yearly annual. When I brought her in, she all of a sudden had a very serious heart murmur that was not present in the 2 exams prior. Early detection has allowed me to keep a close eye on her murmur and be proactive in her cardiac health. All of the papers I read on her condition said that after diagnosis, most pets will live for about 1 year. It has been over a year now and she is still doing great. We make sure to monitor her closely. If it was not for her physical exam we would have never found out that she has this cardiac condition. I hope this helps answer the question as to why annual physical exams are needed to maintain pet health. As we all know dogs and cats can be trouble makers when they want to be. We want to remind everyone of this prior to Thanksgiving. This is the day with all the great smells filling up the house that it seems like our pets always get into more trouble than we expect. We ask you to be cautious of your pets around the Thanksgiving Day food, bones, and everything else that would normally not be out. The link below shows this past years x-ray winners from Veterinary Practice News. Some of the images are graphic, so please only look if your stomach can handle it! If you do follow the link, you will see all of the abnormal things some pets ate. The thing to focus on is that two of them ate knives, so keep a close eye on the carving knife after you cut the turkey. Be well and have a wonderful Thanksgiving Day. We at PVAH are thankful for all of our great clients and furry friends. Halloween is just around the corner. Remember to watch your pets around all the candy. When animals eat something other than their normal diet, it can cause diarrhea. The diarrhea can be associated with mucus or even blood. On top of having an upset stomach, chocolate in larger quantities, especially baking chocolate, can be dangerous for your pet. Keep the candy up high & your pet safe! Another Halloween tip is to be cautious of scary masks around your furry friends. These can scare your pet and even in some cases result in abnormal behavior such as biting. 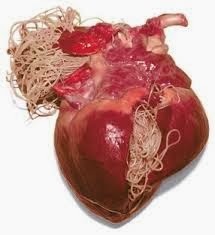 We always get asked why heartworm testing is needed for pets that are on prevention monthly. The American Heartworm Society recommends pets are tested annually. Early detection of heartworm disease minimizes the damage to the heart and lungs. The importance of yearly testing has always been that heartworm prevention is not 100% and there is a risk of exposure. We have always had concern for pets not eating the whole chew or vomiting the tablet after getting it, and therefore not being protected, but now there is concern for resistance to the heartworm preventions. Most of the manufacturers of heartworm prevention offer a guarantee with their medication if you have your pet tested annually. If your dog has a positive heartworm test while on their prevention, they will pay for 100% of the treatment to eliminate the disease. Otherwise, the treatment can be very costly. Heartworm prevention should be given minimally April 1st to December 1st in this area, but year round treatment is better. We have been hearing many questions the last couple of weeks about Leptospirosis (or lepto for short). Lepto is zoonotic, meaning that is can infected both humans and animals. 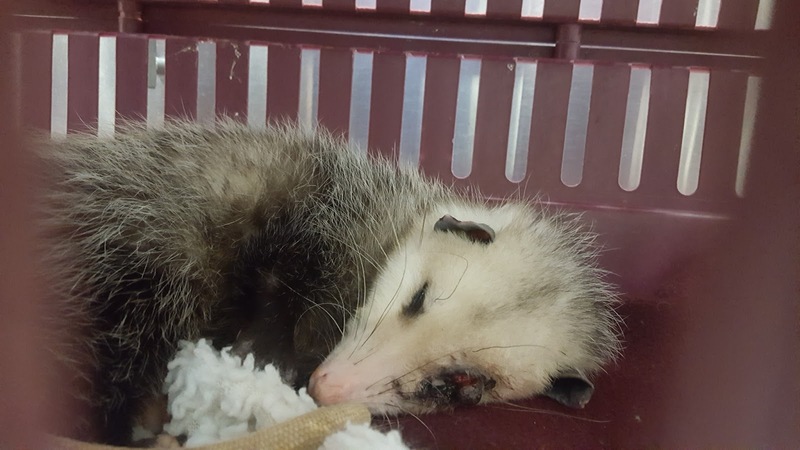 Lepto is a bacterial infection that is spread by the urine of wild animals such as raccoons, skunks, opossums, squirrels, rodents (mice/rats), and even deer. The bacteria (leptospires) gets into water and soil and can survive there for weeks. Humans and pets get infected through contact with contaminated urine (or other body fluids, except saliva), water, or soil. The bacteria can enter the body through skin or mucous membranes (eyes, nose, or mouth), especially if the skin is broken from a cut or scratch. Drinking contaminated water can also cause infection. Infected wild and domestic animals may continue to excrete the bacteria into the environment continuously or every once in a while for a few months up to several years. Generally, younger animals are more seriously affected than older animals. Get your pet vaccinated against lepto if you live in or frequent “high risk” areas. The vaccine does not provide 100% protection, because there are many strains (types) of lepto, and the vaccine does not provide immunity against all strains. 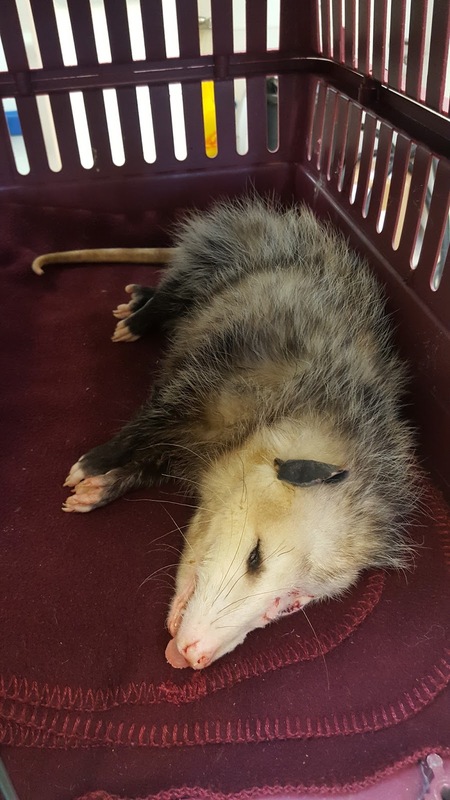 It is important to get your pet vaccinated again even if it gets leptospirosis because it can still get infected with a different strain of leptospires. Remember to watch your pet close when you are out to make sure he/she does not drink from small streams/ponds/etc. The following article was found on Veterinary Practice News web page. We thought it was important to share with all of you as it shows our pets are going to be at an increased risk for Lymes disease. Lyme disease, the tick-borne bane of people and pets, is predicted to pose a higher than normal threat this year in parts of the United States, according to Clemson University and the Companion Animal Parasite Council (CAPC). Disease hot spots are expected to occur along the Oregon and Washington state coastlines, the Great Lakes region, New England and the Mid-Atlantic, researchers reported this week. As a service to dog and cat owners, CAPC will issue regular email updates and alerts about Lyme disease, ehrlichiosis, anaplasmosis, intestinal parasites and heartworm. Registration is available at PetsAndParasites.org. The CAPC website also offers parasite prevalence maps clickable by county and broken down by the number of diagnosed cases of each disease. The map data is provided by Idexx Laboratories of Westbrook, Maine, and Antech Diagnostics of Irvine, Calif. In developing the forecast tool, the Clemson team relied on some of the methods used in severe weather forecasting. "The ever-evolving CAPC Parasite Forecast model combines historical data such as parasitic disease test results from veterinary clinics across the country and changing variables that include weather conditions, vegetation indices, wildlife populations, human population density and human disease prevalence,” said Clemson professor Robert Lund, Ph.D.
CAPC, based in Bel Air, Md., acknowledged that the data does not represent the total number of positive tests. "Instead, we estimate it represents less than 30 percent of the activity in the geographic regions,” stated the nonprofit group, made up of veterinary parasitologists. • 3 out of 122 dogs tested, or 2.45 percent, were positive for Lyme disease. • 0.58 percent of all positive cases of Lyme disease in California occurred in Tuolumne County. • 1 in every 162 dogs tested was positive for ehrlichiosis. • 215 out of 2,909 dogs tested, or 7.39 percent, were positive for Lyme disease. • 1.83 percent of all positive cases of Lyme disease in Pennsylvania occurred in Lancaster County. • 1 in every 40 dogs tested was positive for anaplasmosis. 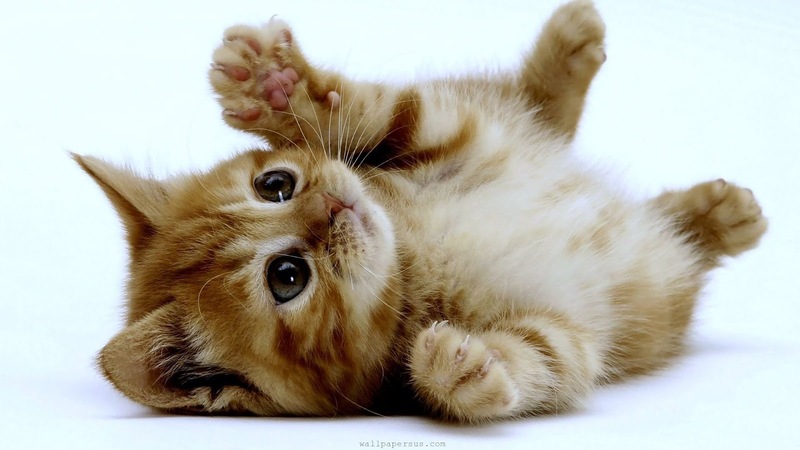 • 1 in every 21 cats tested was positive for roundworm. • 0.71 percent of cats tested were positive for hookworm. • 6.56 percent of dogs tested were positive for Lyme disease. Symptoms of Lyme disease in dogs often include lameness due to inflammation of the joints, lack of appetite and depression. The numbers show the need for preventive care, said CAPC executive director Chris Carpenter, DVM. 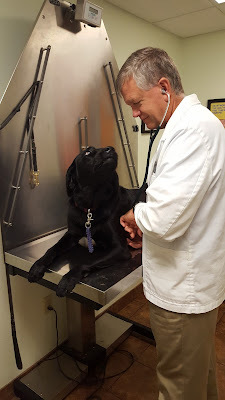 "While virtually all infestations of parasites are preventable, estimates indicate that fewer than half of the dogs in the country are protected,” Dr. Carpenter said. CAPC recommended that dogs and cats, especially those in Lyme hot spots, be treated year-round with monthly applications of tick-and-flea medication. The organization urged that routine veterinary checks become part of the routine, too. 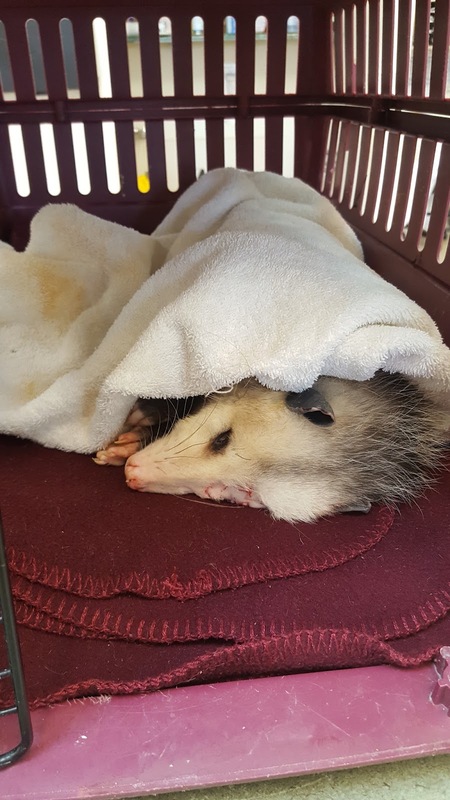 "Prevention is easy and relatively affordable when compared to the cost and heartache of treating a sick pet,” Carpenter added. Remember to have your pets on their Vectra 3D or Activyl! Fatty foods – especially if your pet has pancreatitis. Products sweetened with xylitol – Such as sugar free gums/mints. Pain killers – including Tylenol and the non-steroidal anti-inflammatory medications like Advil, Aleve, etc. Post-1982 pennies (due to high concentration of zinc) – We did see a case of poisoning by a penny a few years back and would highly recommend keeping your change in your piggy bank to avoid unwanted ingestion. 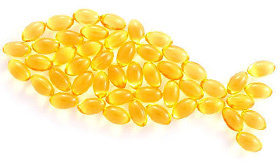 The science behind Omega-3 fatty acids: These are considered essential fatty acids. We need them for our bodies to work normally. Because essential fatty acids (ALA,DHA,EPA) are not made in the body or are inefficiently converted, we need to get them from our diet. Omega-3s have a number of health benefits. Omega-3s are thought to play an important role in reducing inflammation throughout the body -- in the blood vessels, the joints, and elsewhere. In other words, Omega-3s are good for pets with allergies, otitis externa, arthritis, ACL injuries, etc. The fun stuff: Omega 3 Fatty Acids come in a variety of forms to help your pet out. We have a hypoallergenic cheese flavored chew here called Catalyst. Most pets love them! Each chew has 3000 mg of fish oil so it is easy to dose. The formula for how to give Omega-3s can be simplified into giving about 1000 mg of fish oil per 10-20 pounds of body weight depending on the condition. With all oils it is important to work up to the appropriate dose. You start off low and increase the dose a little bit every couple days. This will prevent your pet from getting digestive upset from the oil. Real bones can cause perforation of the GI tract. 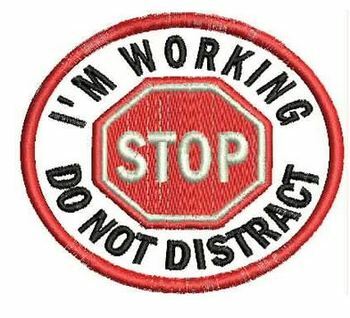 This is a serious concern and would require surgery to repair. Impaction of the GI tract can also occur as a result of feeding real bones. Not as common, but still a concern, is aspirating bone particles into the lungs. A pet needing oral care is something we see so often around here. Heavy tartar, gingivitis, fractured teeth, periodontal disease, etc. are a common finding at routine annual exams. We also hear a lot about how horrible everyone’s pet’s breath smells. 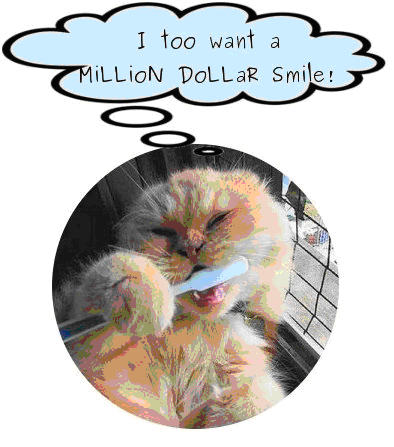 Daily oral care is vital in keeping your pet’s oral cavity healthy. As humans we our taught to brush our teeth 2-3 times daily, floss regularly, and visit the dentist every 6 months. Animal’s teeth do not receive this same care and that can lead to tartar, gingivitis, periodontal disease, etc. There are products out there that are easy to use daily if your pet does not allow brushing. Hills & Purina both make a dental diet that is a large kibble designed to scrub away plaque. Maxiguard OraZn is a blue gel that contains zinc to reduce the bacterial count in the oral cavity. There are also enzymatic rawhide chews to help reduce the tartar build up. Even with daily oral care, routine dental cleanings should still be done. Dental cleanings are done under general anesthesia. We do pre-anesthetic exams and blood work to ensure your pet’s safety under anesthesia. The dental cleaning includes an oral examination, periodontal probing, ultrasonic scaling of teeth above and below the gum line, polishing with prophy paste, and oral cavity irrigation with chlorhexidine rinse. Until December 31, 2012, our periodontal therapy prices will be reduced by $50!!! We are hearing a lot lately about good and bad diets for pets. We are all very concerned about what to feed our furry friends. Of course we want to make sure we are giving them the best possible nutrition, but what is that exactly? In order to determine what makes the best pet foods, we need to first talk about some of the myths of pet food advertisers. The pet food market is a multibillion dollar industry and everyone wants a piece of the pie, so a lot of these companies are trying to find a new angle to get in. The veterinary nutritionists feel that these companies are marketing by using guilt. One of the biggest myths that we are hearing right now is that corn is bad for dogs or that it is a common allergy for dogs. Corn is a natural and wholesome ingredient loaded with a lot of really great benefits for your pet. In a recent article that our staff read, it was stated by 4 board certified veterinary nutritionists that corn, wheat, and soy are usually innocent when accused of causing food allergies. The top allergens for our pets are usually the protein source they are ingesting if in fact they do have food allergies. We’ve been hearing that a lot of people believe that you can tell everything about your pet’s food by reading the ingredient list. The ingredient lists of pet foods, however, are often misleading. For example, a dog food could claim that corn is not the number one ingredient in their pet food, and certainly have the protein source as the number one listed ingredient, but corn could in fact be the majority of the kibble. The way to achieve this is by weighing the protein source prior to dehydrating it and weighing everything else after it has been dehydrated. Water weighs a lot! The other thing that these tricky companies do is to split the ingredient into multiple categories. Corn, for example, might be split into corn meal, whole corn, corn starch, etc. They do the same thing with rice, soy, barley, etc. The better part of the bag to read is the AAFCO statement. You want to make sure that the food underwent studies and is not just “formulated” to meet your pet’s needs. It should also be listed for a specific life stage whether it is puppy or kitten, adult maintenance, or senior. A food listed for all life stages is one that has been either tested or formulated to fit the needs of a puppy or kitten. Puppy & Kitten food is generally higher in calories and not the best food for adult or senior dogs to be on. Did you know that there are also a large number of companies that do not make their own pet food? These foods tend to have less quality control than companies that make their own food. "Diets from pet food marketing-distribution companies that don't make their own foods may potentially fluctuate more from batch to batch than a company where it's all done in-house". "Royal Canin, Hill's Pet Nutrition, Nestle Purina and Iams PetCare will control all aspects of development, manufacturing and sales, so there is more company oversight of the pet food process." "These are also the companies that are investing in research that promotes veterinary medicine and veterinary nutrition." stated Dr. Weeth, a diplomate of the American College of Veterinary Nutrition. (Veterinary Practice News, Volume 24/Number 9). We are seeing a lot of otitis externa this time of year. Some symptoms you may notice are a bad odor from the ear, shaking the head, scratching the ears, or even debris in the ears. The doctors do recommend routine ear cleaning to help prevent this. Otitis externa is inflammation or “infection” of the external ear canal. It is almost always caused by allergies and can often lead to a secondary yeast or bacterial infection. There are different types of allergies that can cause otitis externa from inhalant to food allergies. Step 1: Instill a liberal amount of ear cleaner into the ear canals. The ear cleaner should be gentle on the ears. We recommend using one that does not contain alcohol, such as Epi-Otic Advance. Step 2: Massage the cleanser into the canal by rubbing the base of the ear. This step also breaks up the debris. Step 3: Wipe out what you can see and reach with a cotton ball. Dogs and cats have “L” shaped ear canals, so you will not be able to reach in far enough to hit the ear drum. You do not want to use Q-Tips down in the canal. Step 4: Instill any medications as prescribed by Dr. Emmert or Dr. Diemer. Fleas are an unpleasant pest to have to deal with. Getting rid of them can be tricky, unless you proceed with the following steps. We recommend applying Vectra 3D to all animals in the household for a minimum of 4 months. An environmental spray such as Knockout, which kills the eggs, larvae, and adult life cycle stages is recommended. Vacuuming should be done regularly, as the vibrations can cause the fleas to hatch from the pupa stage which is impossible to kill with current products. 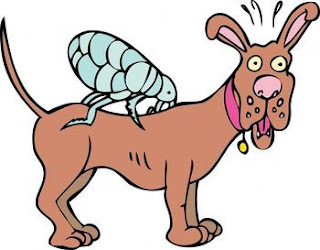 When you are doing your environmental treatments, please remember that fleas migrate to where it is dark, so cleaning/spraying efforts should be focused in dark areas such as underneath furniture. We do not recommend flea bombs as the product only penetrates the tops of surfaces. If you follow these steps/rules, your pet(s) and house should be flea free in 3-4 months. A: With the flea product revolution of 1995, the market for flea products changed from being primarily pet supply store / over-the-counter outlets to primarily directly through veterinarians. The pharmaceutical companies like this arrangement as they feel that their products are now being marketed by trained personnel who can explain best how the product should be used or not used. The veterinarians also like this arrangement as they have more input regarding what their patients are using. The pet supply stores do not like this arrangement at all as they have lost their market-share. In an effort to gain it back, they have resorted to a number of black market techniques (paying large sums of money to veterinarians to order product for them, going to other countries to buy product and smuggling it back to the U.S. for re-sale, even counterfeiting product). We caution anyone who buys flea products from a black market source. Product purchased through pet supply stores or from an online source that is not a veterinary hospital is not guaranteed by the manufacturer. PVAH is seeing a lot of seasonal allergy sufferers right now. We had a very mild winter, so the fall & spring allergy seasons ran together. There is unfortunately no cure for allergies, but there are things we can do to help alleviate some of the symptoms. Pets with allergies should be on an omega 3 fatty acid to help with inflammation. This is especially true for animals on prednisone, as it will help reduce the amount of prenisone needed. Aloe & Oatmeal baths can also help. Animals with allergies that present as otitis externa (ear inflammation) can be helped by routine ear cleaning with a gentle cleanser. Antihistamines may also be beneficial. Remember to call the clinic for help on this topic. 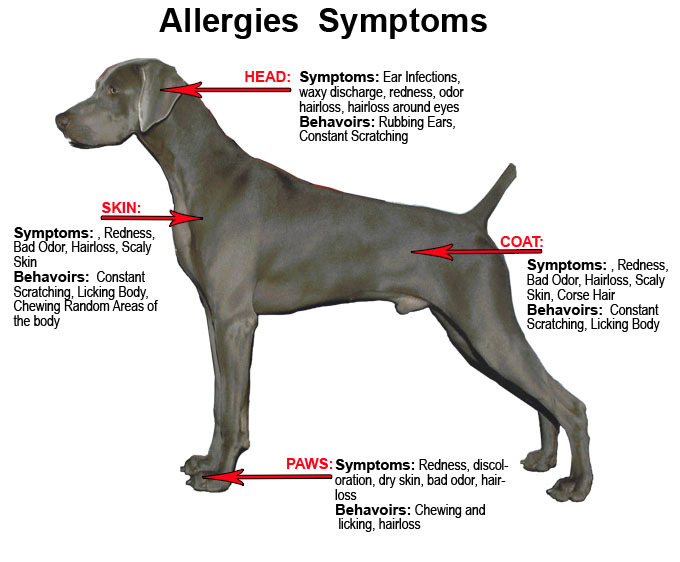 If your pet's allergies are in need of medical therapy, please call to schedule an appointment today!